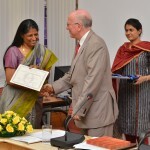 Dr. Sukumari Raghupathy Polavaram, of the Department of Humanities & Social Sciences of the Indian Institute of Technology- Madras, has been named ‘‘Chevalier dans l’Ordre des Palmes académiques,’ (Knight in the Order of the Academic Palms) by the Ministry of French National Education, Paris. 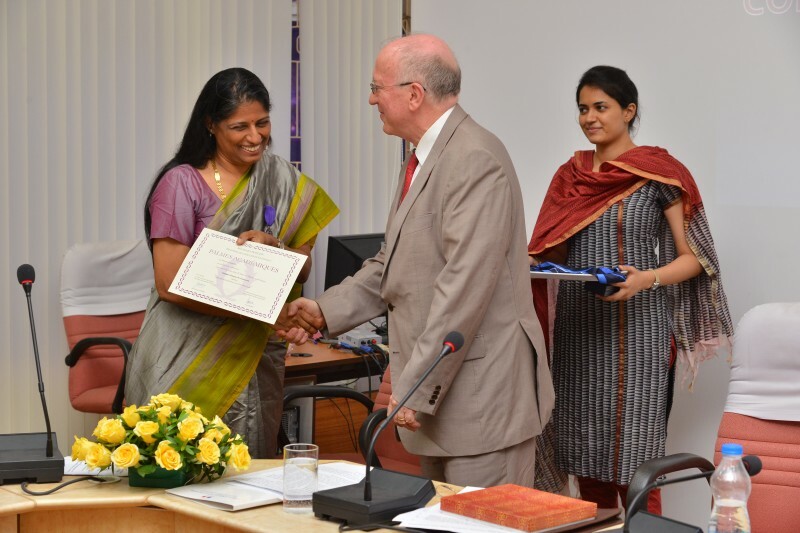 This award was conferred by the Consul General of France at Puducherry, Mr. Philippe Janvier-Kamiyama, in a ceremony held at IIT-Madras on 13 Mar. With a career in education spanning over 25 years, Sukumari has taught in various universities all over the world. She currently teaches World Literature in the Department of Humanities & Social Sciences at IIT-Madras. She is a resident of R. A. Puram. This entry was posted on Saturday, March 21st, 2015 and is filed under Uncategorized. You can follow any responses to this entry through the RSS 2.0 feed. You can skip to the end and leave a response. Pinging is currently not allowed.